Pelenna Patchworks: More Winter fabrics in stock from Red Rooster and Moda! 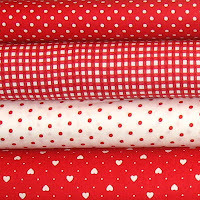 More Winter fabrics in stock from Red Rooster and Moda! Two new ranges have landed this week, the Moda Blitzen fabric range and the Red Rooster Reflections fabric collection. 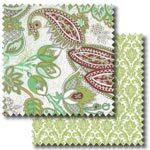 Blitzen is a lovely range of intricate designs including damasks and paisley, in gorgeous cool aqua, mint and pear green colours - also available as a fat quarter pack and stash pack including all eight of the prints we have in stock. 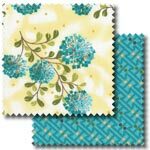 Red Rooster Reflections, designed by Gudrun Erla of GEDesigns, are also in cool colours including aqua and yellow, but these have a floral theme, plus several tonal fabrics that coordinate perfectly. Again we have a stash pack and discounted fat quarter pack so you can get all 6 fabrics in stock for a good price! Also back in this week are many of the Makower Basics fabrics, which we have been waiting for for a while - lots of the existing ones are now available again, plus there are several new prints so we now stock the whole range. Look out for two new fat quarter packs, in purples and reds - these Basics prints are ideal where you want lots of different prints with similar colour values! Three brand new fabric ranges uploaded today!